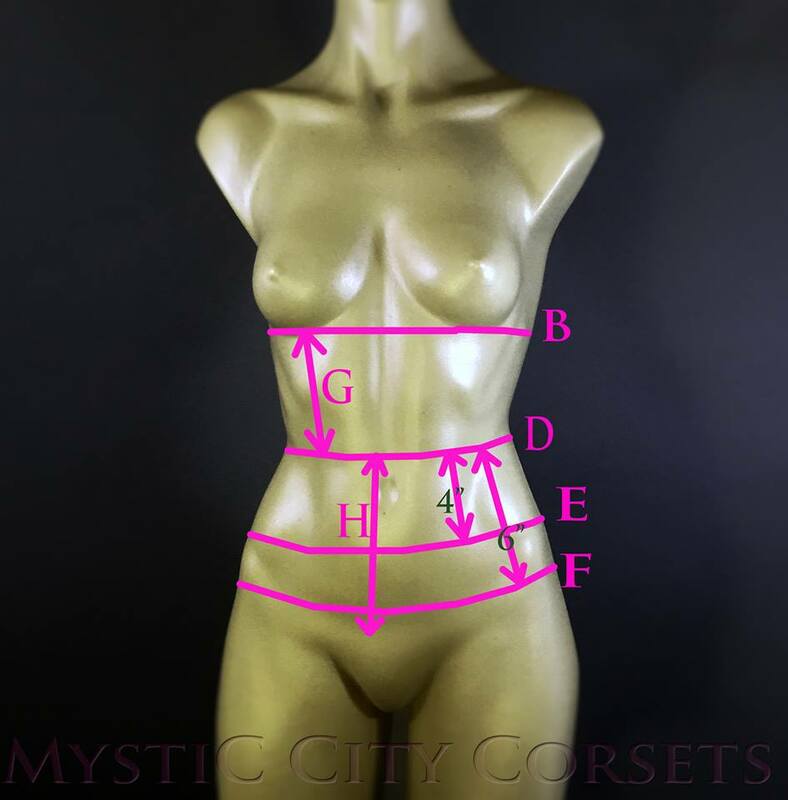 Use this tool to find a corset that fits your measurements! Simply input your measurements. Then review your matches. From here you will want to review the size charts to find the correct size, or compare vertical measurements to your own. REMEMBER: This is simply a tool to narrow your possible fits. Results may not be 100% accurate. Please review the size charts. IMPORTANT: SIZING CALCULATED BASED ON WHOLE NUMBERS. Please do not use decimals or fractions in your results. When in doubt round to the nearest number, if you squish upward or downward you may also use this as reasoning for rounding your measurements. Feel free to check multiple variations from within this form. GOOD LUCK!